Yesterday, B told me that Beyonce was making an announcement on Good Morning America this morning. He said it was an over-hyped commercial but wondered what the announcement could be. I assumed that maybe she was announcing that her and Jay were releasing an album together exclusively on Tidal! (anything to get more publicity and members to their music-streaming site). Boy oh boy was I wrong. This morning she announced to the world that she was…….a vegan. Something we already knew. What a disappointment. So glad I didn’t get up early or try to get ready this morning around this humongous announcement. Someone in her PR teams needs a stern shaking ASAP! This was just a way for her to promote her vegan lifestyle. 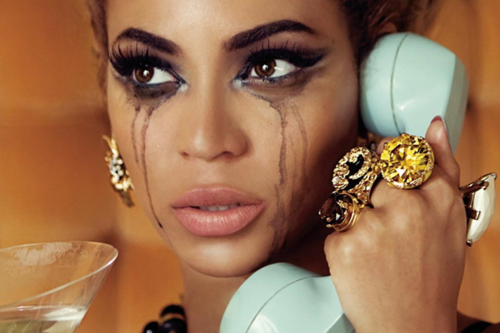 Beyhive: OMFG A TOUR????? ALBUM??? ?